A single month of data is never cause for panic, but this particular piece of data sure isn’t good news. 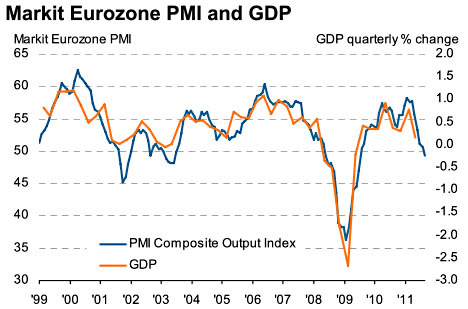 The advance release of the composite PMI index for Europe fell below 50 in September, which suggests the European economy is now contracting. Outside of France and Germany the news is even worse, and in the service sector both current activity and expectations of future activity are down. There’s just no silver lining here.